North Vidzeme Biosphere Reserve comprises 53 km of the coastline of the Gulf of Riga and borders to the north the frontier with Estonia. It covers 474,447 hectares corresponding to the catchment basins of the Salace, Svetupe and Vitrupe Rivers. Lakes characterise the landscape (over sixty greater than 3 hectares) as well as gentle glacially formed hills and rolling plains. The coastal part consists of sandy beaches, coastal meadows and areas of bare rocks. 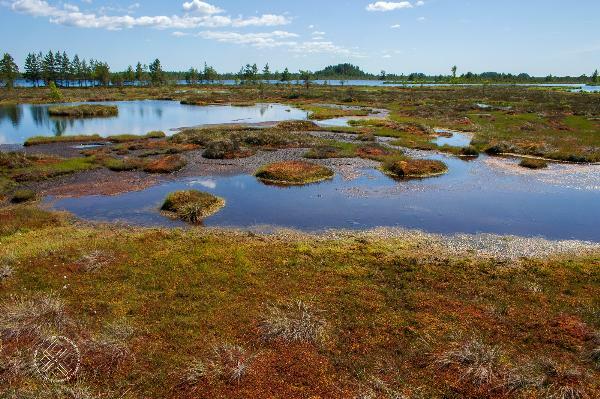 The area harbours raised bogs, wild rivers with wild Baltic salmon, coastal meadows which are traditionally maintained by grazing and remnants of the ancient broad leaf forest.